Our hair is a part of our identity and the way we see ourselves; if you’ve experienced hair thinning you know all too well the toll it can take on the many aspects of daily life. Maybe it was the last time you looked in the mirror, caught your reflection in a store window, or saw the picture that was just taken of you and truly realized it was serious. You couldn’t dismiss it any longer. You have experienced the feeling of personal panic surrounding hair loss. Take the time to understand the cause of your hair loss, and you can begin to have hope for finding the solution to RESTORE your lost hair. At Jeffrey Paul’s Hair & Scalp Specialists, our team helps men and women who are trying to CORRECT scalp and hair symptoms like flaking, itch, or excess shedding, along with guests whose hair has progressed to the point of needing to RESTORE hair loss. Hearing the words “hair loss solution” might conjure up images of painful hair restoration techniques or the unnatural looking, one-size-fits-all wigs many of our grandmothers wore back in the day. You know the kind of wig we’re talking about here—made from low grade materials, hot, itchy, and unnatural looking—not what you want. We specialize in providing the most technologically advanced, tailor-made, proprietary designs of hair loss RESTORE solutions for men and women. Technological advancements make the modern hair solution an attractive proposition, including the most natural texture, movement, color and feel. It is practically undetectable to anyone you have not told. 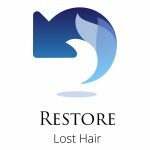 Where growing hair is available but is not at the optimal density or look, our RESTORE solutions incorporate solutions that blend in new hair with growing hair seamlessly and undetectably. In a case where hair is not available, our solutions restore all lost hair to the natural, age-appropriate density and fullness you once had. As a part of our CPR for your hair and scalp, our team of Hair Solution Specialists will take the first step of RESTORE: evaluating your current stage and level of hair loss. We get to know you better by asking questions about how you are maintaining your hair, your lifestyle, and any factors that may be contributing to loss such as heredity or medications you may be taking. We take measurements of your head so when you are ready we can begin to design a hair loss RESTORE solution custom-fit to you and no one else. Our team of Hair Solution Specialists are licensed cosmetologists and experts at matching or creating all hair colors, hair textures, and densities. So whether you’re looking to RESTORE the hairstyle you were accustomed to, or you desire a new look, our Hair Solution Specialists will create a custom hair loss RESTORE solution for your specific needs—to give you back the fullness you once had. If you’re ready to begin the process of RESTORE, your next step is scheduling your Hair Solution Discovery.